Every woman differs when it comes to the matter of selecting cosmetics. I guess, all of you know, or at least will learn now, that colour cosmetics have to be chosen accordingly to the skin type, beauty type, your outfit as well as your hair and eye colour. How to do this the right way? It’s the most important thing you need to store your products in. Try to find the best size so as to hide there all your cosmetics, yet not to let them mingle with each other. For that reason, your make-up bag should feature many compartments and pockets as well as separate space where you can store your brushes. 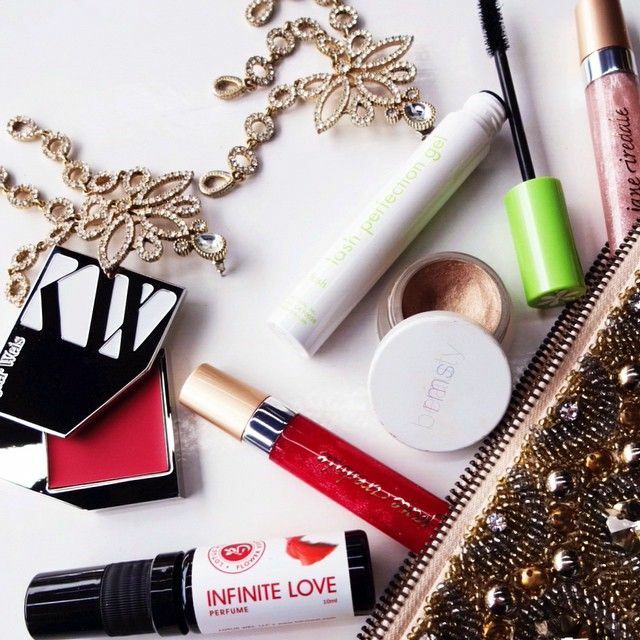 Basically, you can treat your make-up bag as a designer’s accessory. You can choose the most trendy one, of the craziest colour and the one which will serve you for many long years. Once you get this ‘treasure’, you can follow with gathering your own must-haves. I think a foundation is one of the woman’s most important cosmetics. If your complexion isn’t that perfect, apply a foundation primer first. This product will help you even the skin tone, hide imperfections and extends the lifespan of the make-up. Moreover, if you don’t like wearing dense foundations, go for a BB cream or a cream and foundation in one. Thanks to this, you’ll do both, deliver moisture to your skin and beautify it. In order to obtain highly natural effect, apply the product from the upper parts of your face heading downwards. As the last step, apply a powder, a bronzer or a blusher. You would agree with me that this is the most important eye make-up cosmetic. It can change the look in 180º and make your face appear to be completely different. Hence, your mascara has to be of high quality and the brush should apply the product precisely. I would recommend going for classic black mascaras and sometimes replace them with their colour versions. Lipstick is yet another product without which you simply can’t do make-up. This season’s choices are dark and natural shades. The most important though is for the lipstick to feature moisturising and protective functions. In order to make your lips look better, put on scrub before colouring your mouth. Combine sugar with honey and rub the mixture against your lips. They will become smooth, supple and well-prepared for the make-up. Have you already gathered all necessary cosmetics? If yes, write in the comments which products you find the most useful.